Win a Nokia Lumia 1020 plus a handset and camera accessory bundle worth a total of £700! One lucky reader will win this fantastic smartphone prize courtesy of Nokia. To celebrate the UK launch of the fantastic Nokia Lumia 1020, Nokia is giving away a handset and camera accessory bundle to one lucky reader. The Nokia Lumia 1020 is the biggest revolution in smartphone imaging technology and comes with the latest innovation from Nokia’s PureView technology. 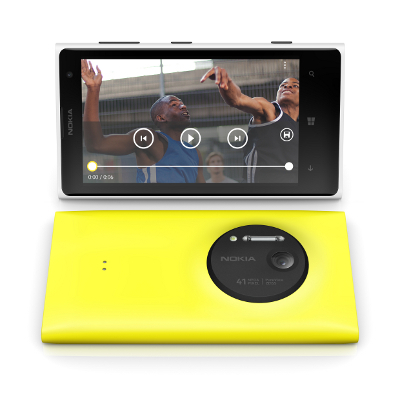 Included is a massive 41-megapixel sensor and optical image stabilisation, the Nokia Lumia 1020 combines unmatched picture detail and quality with effortless capture, editing and sharing features. Plus win a camera accessory bundle including a wireless charging pad, wireless charging cover and camera grip worth £150 and kit your Lumia 1020 out with everything you need to capture the perfect image!